At its annual general meeting in July, Reliance Jio announced that the JioPhone would get WhatsApp support soon. Now, the company has started rolling out the WhatsApp to JioPhone as well as new JioPhone 2. WhatsApp is finally available for download from the Jio App store on both the JioPhones. 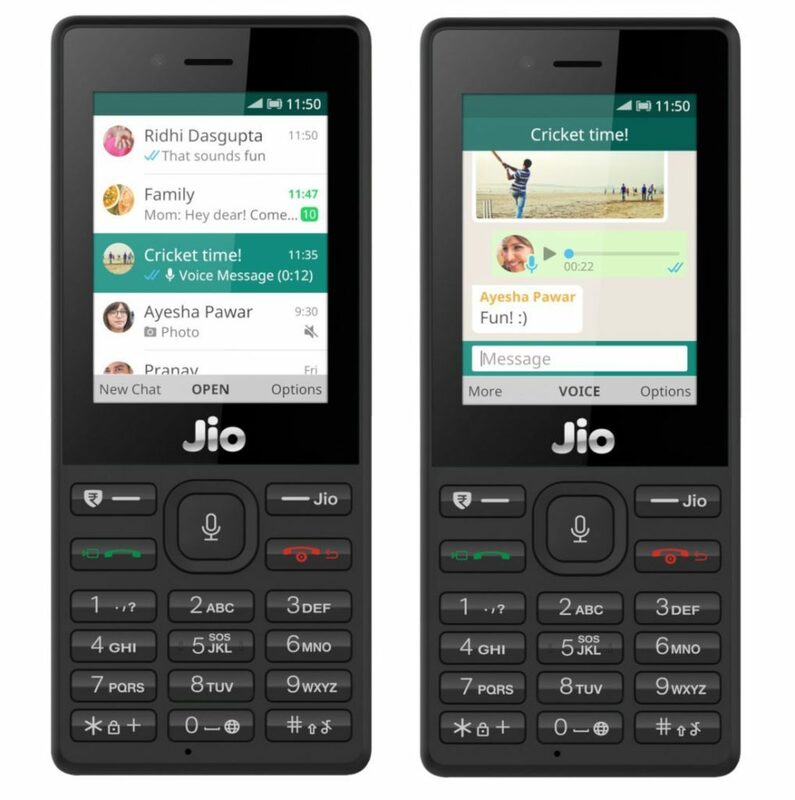 At the annual AGM, while launching JioPhone 2, the company said that YouTube, WhatsApp, and an improved Facebook app will be available for JioPhone from August 15. The Facebook and Google Maps have already been there on the JioPhones. However, now after a month’s delay, WhatsApp is also available on these phones. The new WhatsApp is designed especially for KaiOS that runs the JioPhones. The app that has been built for Jio KaiOS is designed in such a way so that users get the best experience. WhatsApp for JioPhone and JioPhone 2 is available for download from the Jio App store starting today September 10. It will be rolled out to all JioPhone users by September 20. After downloading it, users can verify their phone number and start messaging. The KaiOS also powers other feature phones like Nokia 8810 4G. So, if the new WhatsApp designed for it is available for JioPhone, it should also be available for Nokia 8110 that is soon to be launched in India.